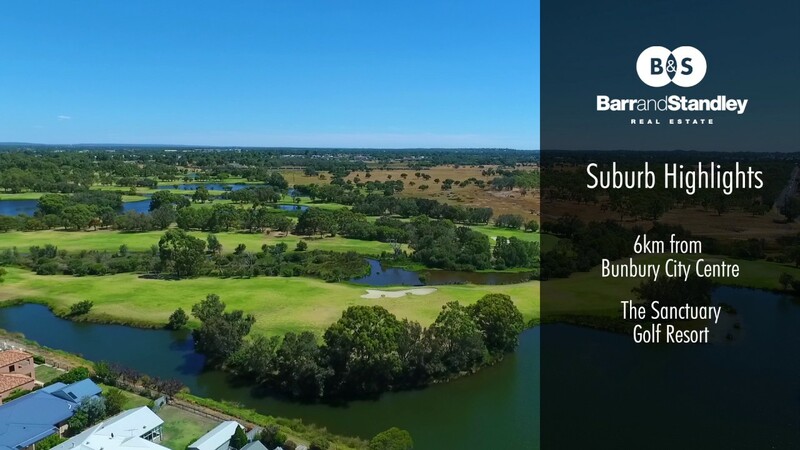 This property has its very own private gate with direct access to the Sanctuary Golf Resort making it a perfect way to unwind after a busy day at work by playing a round of golf. From the kitchen, meals, living area and patio you can relax and enjoy the views over the golf course. Capturing the very essence of sophistication, this executive 3 bedroom, 2 bathroom home is surrounded by prestige residences in one of Bunbury's most coveted pockets of real estate. With a front lounge room, open plan kitchen living and dining area, this homes light filled interiors open out to a patio area full of potential for family entertaining. Offering built in robes to all bedrooms and an ensuite to the master bedroom. Being only walking distance to the estuary, parks, ovals and tennis courts, plus a short drive to the growing Eaton fair shopping centre, schools, beaches and Bunbury’s CBD this property is close to everything you could want for an enjoyable lifestyle.